Sorry for the delay. The last few weeks became a bit hectic, with lots of freelance work, a death in the family, and my Thanksgiving trek to the west coast to visit the in-laws. 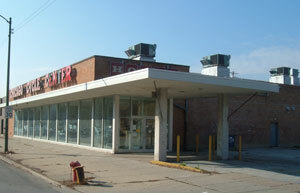 This Preston Safeway store at 5040 East 16th was most likely a former Standard Store. Preston Safeway is an odd little chain in Indianapolis that has successfully managed to use the Safeway name without trademark issues for quite some time. There is no connection to the more well-known chain other than the fact that Preston Safeway seems to be using the “Ingredients for Life” typeface on some of its banners. 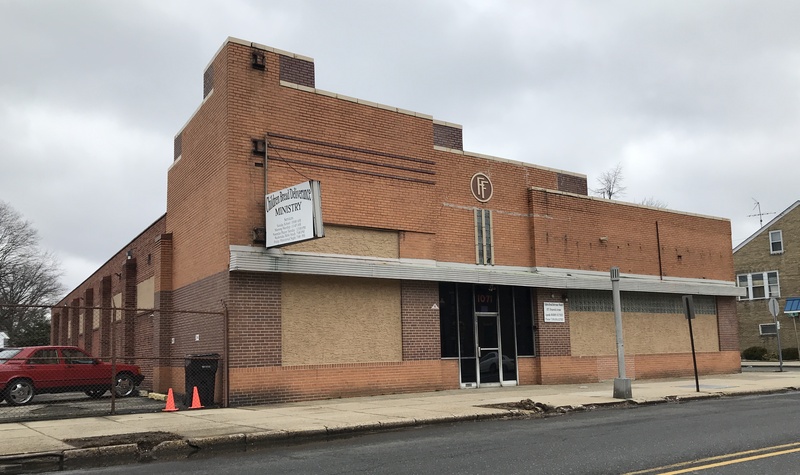 Despite its somewhat modernized appearance, the Jewel-Osco above, located at 3531 Broadway, is in an ancient building which I suspect may have been something else to begin with — perhaps a garage, a car dealership, or even a garden variety warehouse. 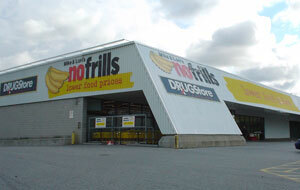 The store is at ground level and the second level is enclosed parking. I suspect this was originally a Kroger. It’s at 7620 North Western. 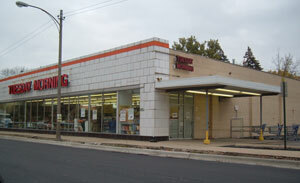 This gorgeous former Jewel store is at 4335 West Oakton in Skokie. I found this 1950s-era Kroger interesting because it had obviously been remodeled and expanded into an early 1970s superstore. There’s a 1990s version still open in the same center. It’s interesting that the grocery industry is so completely consolidated in the hands of three companies (Loblaw, A&P/Metro, and Sobey’s) but still operates under so many different banners. 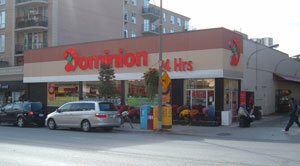 Loblaw owns Zehr’s and No Frills, while A&P owns Dominion and Food Basics. 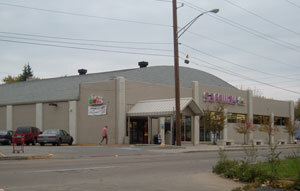 Sobey’s also operates as Price Chopper, IGA, and more. 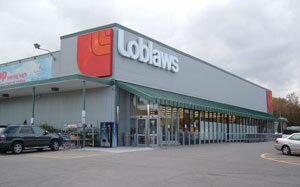 A Loblaws from the 1950s at 301 Moore is still open and in relatively good repair. It seems larger than average for its era. 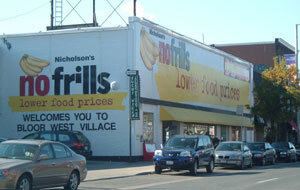 Probably a former Loblaws at 2187 West Bloor. Also a probable former Loblaws, this one at 1450 East Lawrence. 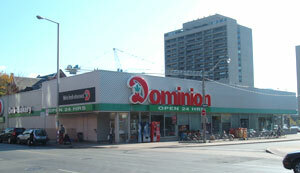 The Dominion store above, at 425 West Bloor may or may now have been an A&P. It probably dates from the early 1950s. The late 1940s/early 1950s model below, at 3142 Yonge, was definitely an A&P in a previous life, if its parking signs are to be trusted. I may try to post one or two more at some point. Input solicited: I’m leaving Saturday on a two-week road trip which will give me several days each in Chicago, Detroit, and Toronto. 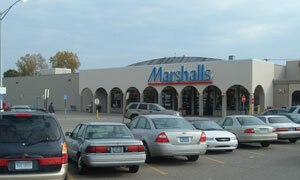 Anyone have ideas about old chain stores and vintage shopping centers I should see? I’m particularly interested in old National Tea, Jewel, A&P, and Kroger stores. 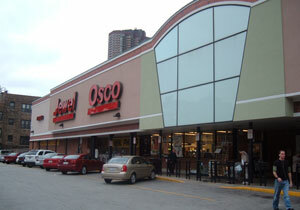 I’ve also been told that Safeway had a Toronto division for a time. Location pointers would be much appreciated.